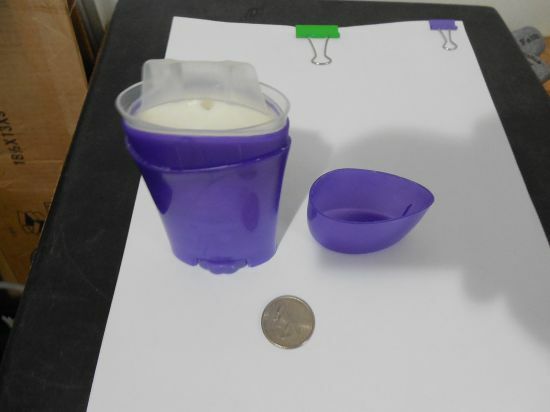 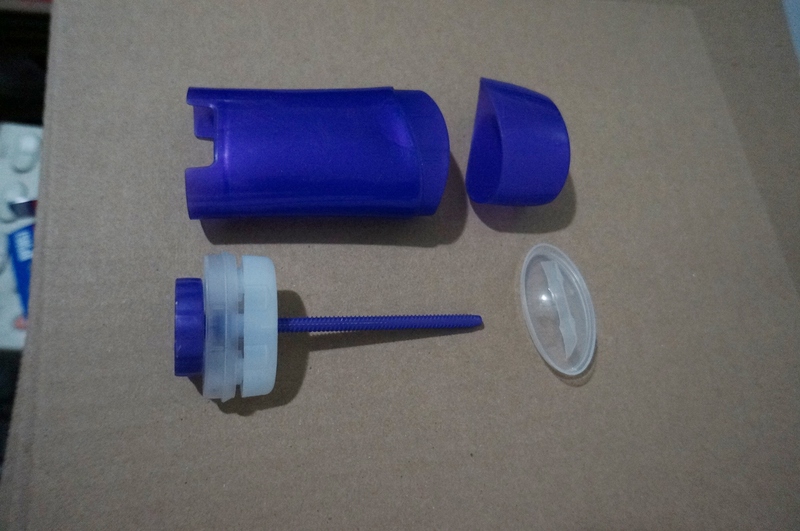 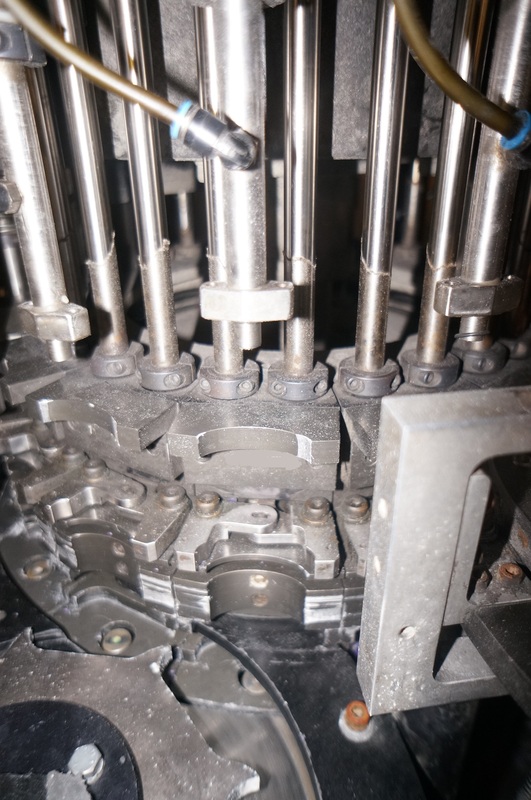 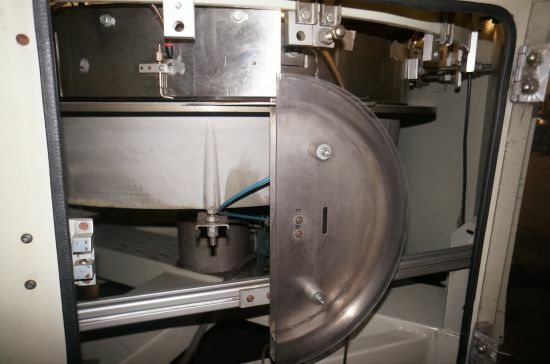 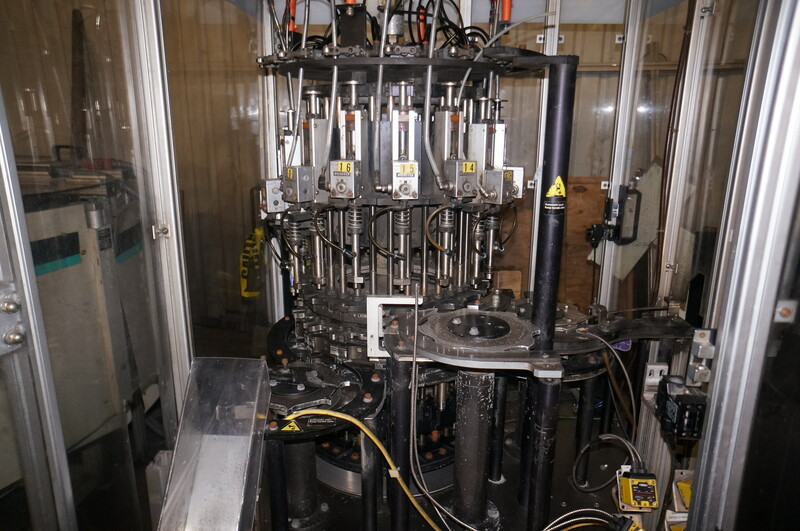 Description: This 16 station rotary assembly machine was designed to assemble a lady\'s sized underarm gel container. 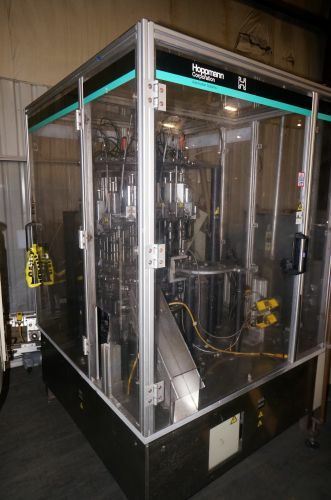 The system cosists of three feeders each with its own supply elevator. 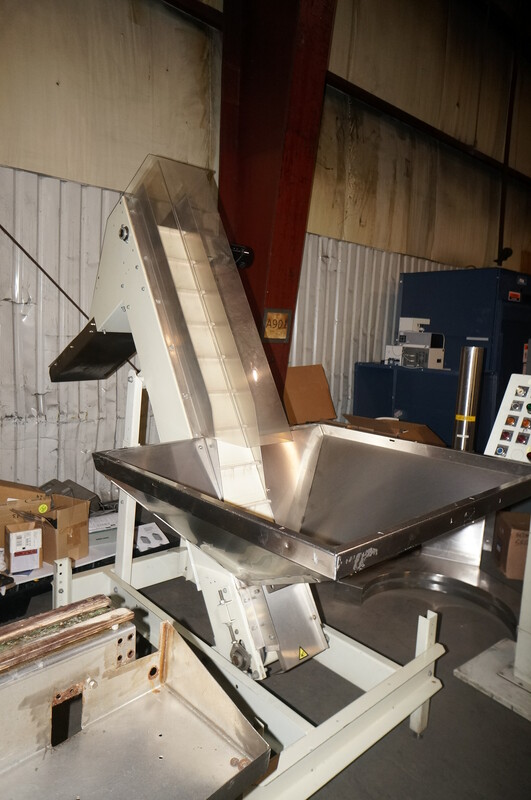 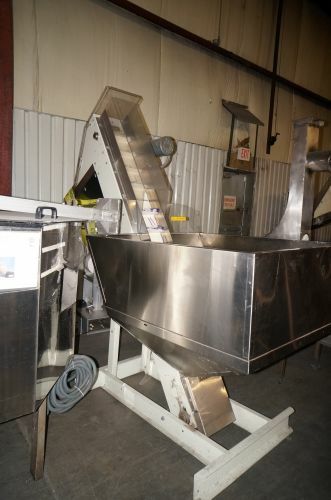 Feeder Number one feeds an oval lid or dome to seal the top of the container Feeder number two feeds a pusher assembly that is inserted into the bottom of the container. Feeder number three feeds an over-cap that goes on top of the lid or dome. 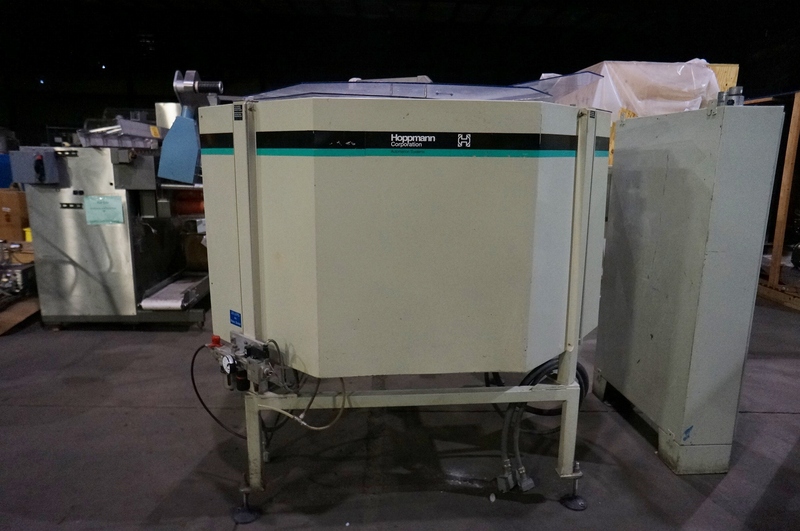 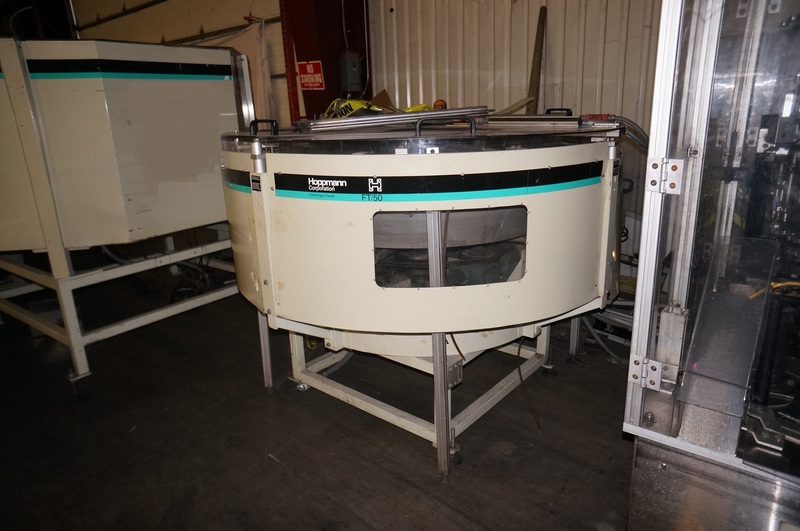 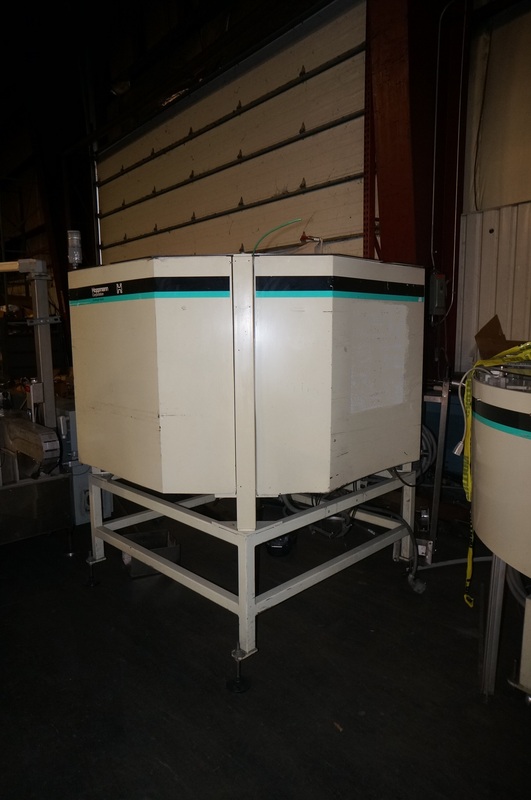 We have several additional Hoppmann component feeders. Also have Hoppmann FT 50 Feeders for deodorant barrels. And an Accraply PS labeler to do one side on the Deodorant container.